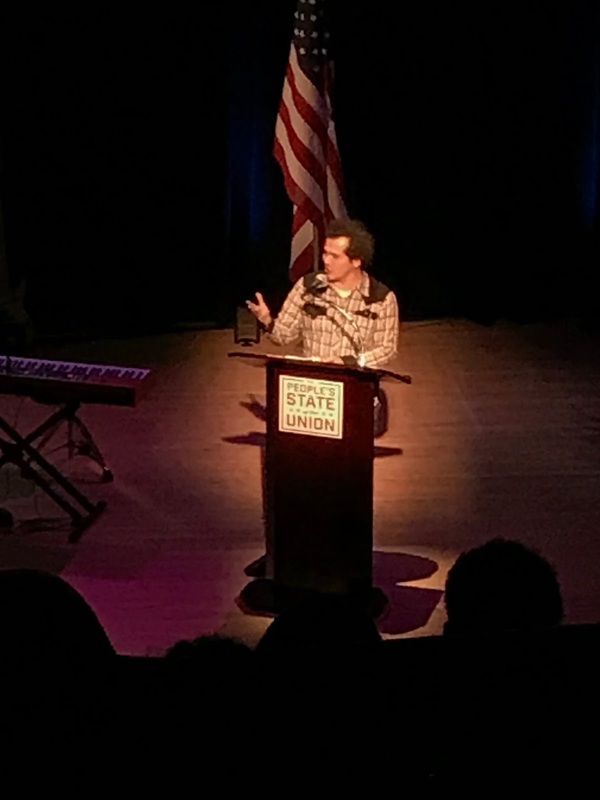 Last night's People's State of the Union, with speakers like Mark Ruffalo, NYC Mayor Bill de Blasio, Wanda Sykes, John Leguizamo, Patricia Arquette, and more, was inspirational. It's easy to become dispirited, to feel that the fight against hate and for love and equality is hopeless and thankless. Events like this remind us that it's not, that we're not alone in the fight, and that what we're fighting for is well worth it. And sure, there's an argument to be made that many of the celebrities who spoke at and organized this event are closer to the 1% than they are to you (I'm guessing) or me (I know). But it's also true that, Trump notwithstanding, it's possible to be rich and to still care about those who are not, and to want to help effect a positive change in their lives. I don't have to agree with everything Ruffalo says (and I don't) to acknowledge that he wants equality for all in this nation. As does everyone that took the stage last night. As do I. The struggle is real, as the kids say. Fight the good fight.